Having been to Sri Lanka for 3 weeks, I climbed – everything – I could. Besides that, certainly I did not miss a chance to try a good variety of its traditional food! And I tell you that – Sri Lankan cuisine is strongly influenced by its colonial past and its proximity to India. 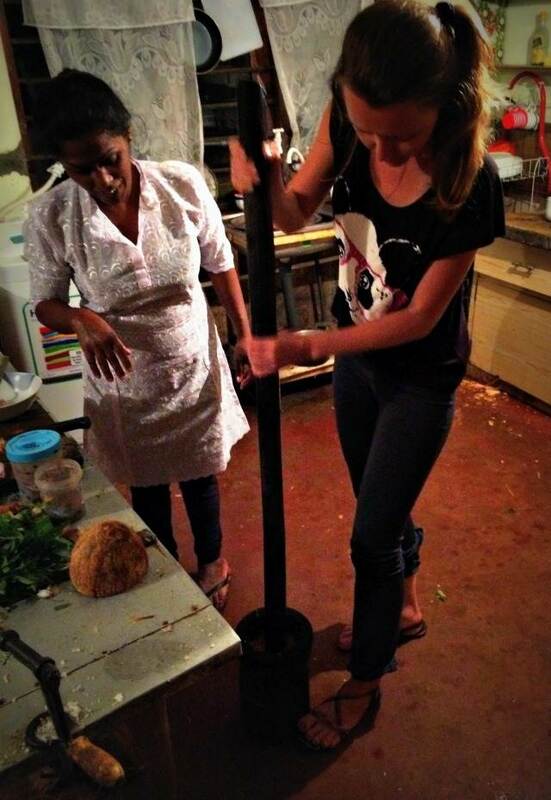 If you are going to Sri Lanka, or just want to know what is their food like, this post is going to be useful for you! 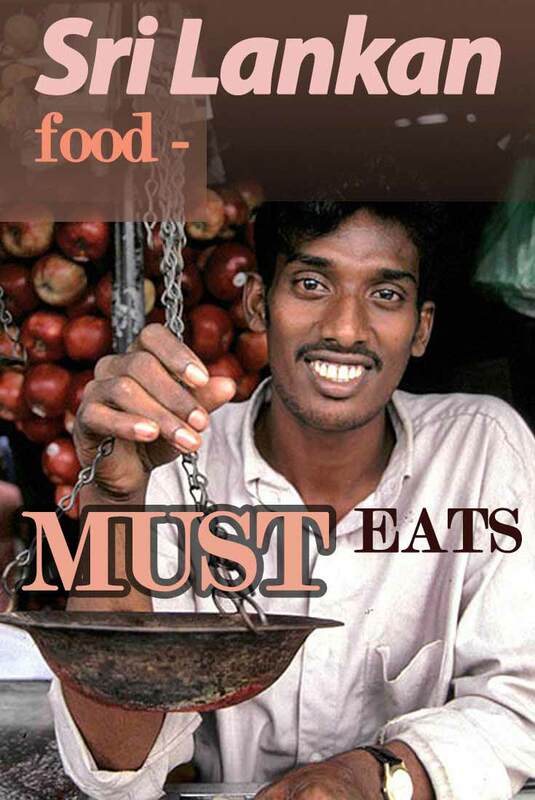 I made a selection of all the must eats you should dig into while on Ceylon island! Hope you have eaten already, as many yummy pictures are about to flood your screen..
A very popular everywhere in Sri Lanka. 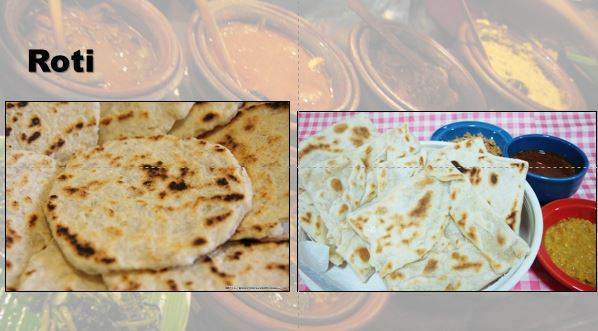 Actually, you will find many variations of roti (also spelled as “rotti” or “roty”) in all over South East Asia. Roti in Sri Lanka is a wheat flour flat bread. 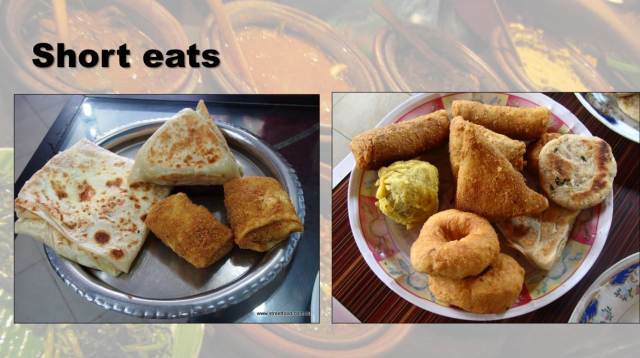 Roti can be plain (left picture) or it can have various fillings (right) like egg roti or chicken roti. Yum! I simply love this one! 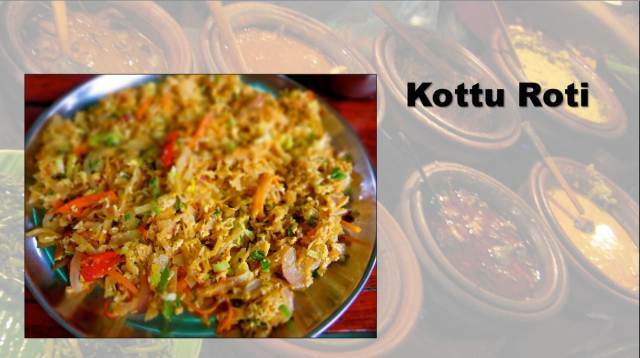 Kottu (Kothu) is basically a shredded roti with vegetables, meat and spices. This dish is usually eaten for dinner and can be vegetarian and you can find it throughout the whole island. When you order it, please make sure you sit somewhere close to the cook so that you can see and hear how it is made. 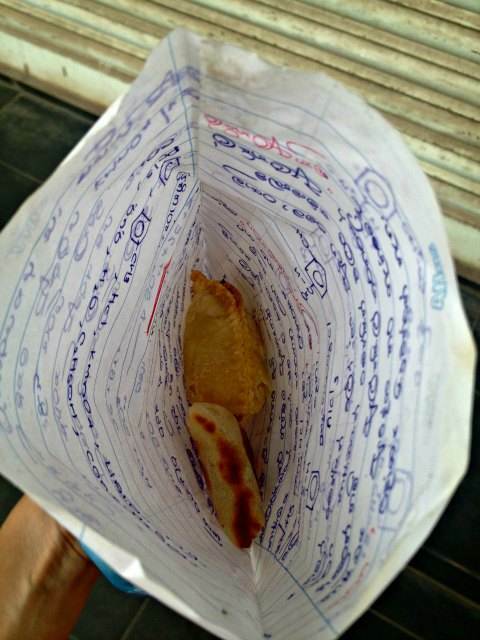 You see, it is cooked on hot iron sheets and each cook has his own unique way of shredding the roti. The whole process gets loud and the cooks are pretty much creating their own, very specific music at the same time. Worth seeing! I haven’t even imagined before I went to Sri Lanka how many types of curry there are out there! I personally don’t like spicy food, but a few variations of curry are just amazing here! What you should not miss out on is going to a cooking class! It is often organized by hotels, often free of charge (well, you will be charged for the dinner, but not for the lesson). I participated in one of those and I have to say it was one of the most interesting things I have done in Sri Lanka! It’s not something dedicated just to cuisine lovers; anyone can enjoy it. During the class you get to see the process of processing the curry and it’s interactive, you get real hands on experience! 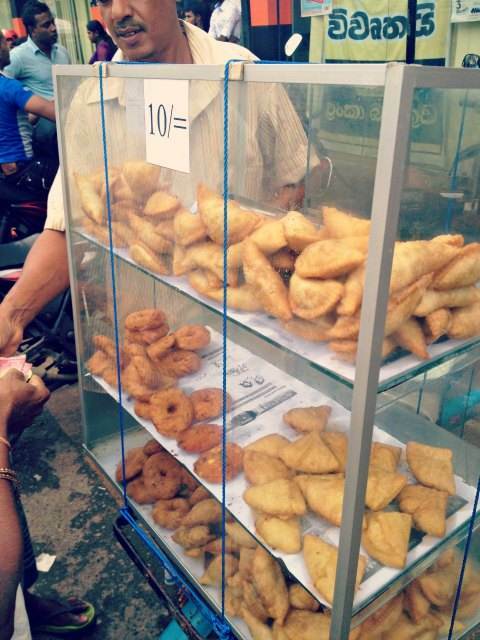 If you are going to Sri Lanka you have absolutely no excuse not to try the street food they sell in food kiosks! This particular one in the photo below is just 10 LKR (less than 10 cents) a piece. But they are all generally very cheap, at most 50 rupees a piece. Ask what they contain – usually it’s mashed vegetables, eggs, fish, everything with spices of course. My personal favorite is samosa (it’s the fried triangle on the picture). One cool thing about these people is that even though they don’t really recycle in Sri lanka, they still find a way to reuse the paper! Check it out, I really appreciated that! 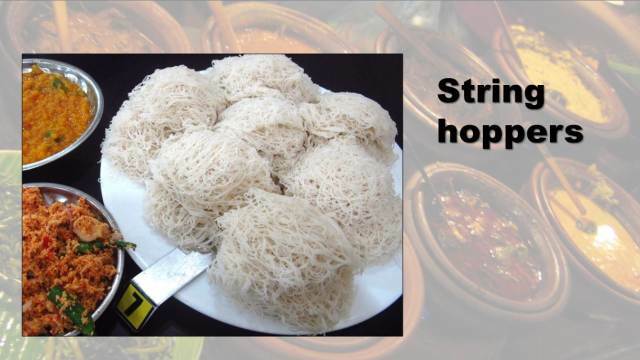 String hoppers are some kind of twisted noodles made of rice (white or red) flour. The dish also comes served with different types of curries and is eaten for breakfast and dinner. You can (and should!) 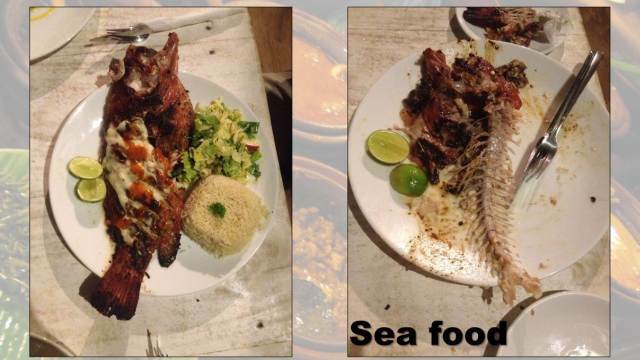 try the absolutely great seafood! 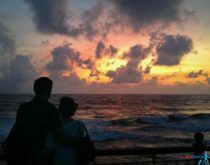 You can find it anywhere near beach areas in Sri Lanka. There are numerous vendors who sell freshly caught fish right on the beach. The most popular ones are Tiger prawns, Red snapper, crabs, lobsters etc. You can buy it and bring the fish to the restaurant or just order it normally. The price is around 2000 LKR (12€ (15$) for a full fish. Delicious! By the way, take into consideration that all restaurants, even the simplest ones will charge you an obligatory 10% service fee. Being in Sri Lanka and not trying the real Ceylon tea would be a pity. 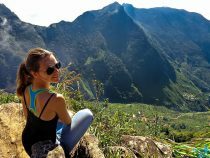 Do that while enjoying the view on tea plantations feeling yourself like in those old colonial times. Sri Lanka doesn’t have many traditional alcoholic drinks. The only one I know of is Arrack – distilled alcohol made from herbs. It is quite strong (but less than 40%) and can be drank with Coke. If of good quality, and it won’t give you a headache the next morning. 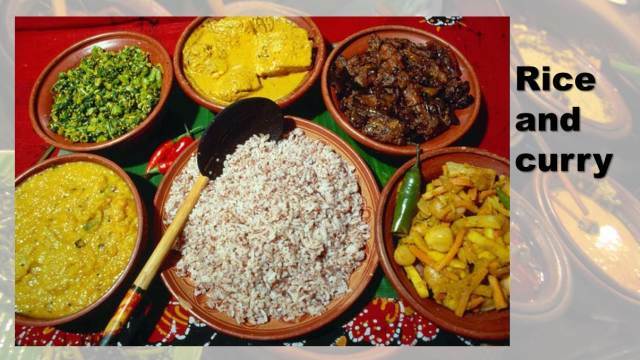 Sri Lanka’s cuisine is similar to Indian’s (Kerala region) and Tamil’s. Spicy fried food prevails. Roti and kottu roti are the most well-known dishes. Different types of short eats are also available everywhere. P.S. For picky people like me, Sri Lankan cuisine can be a bit too spicy. Even if you tell them “Not spicy” it will still be a bit. But it is a part of the authentic experience and I enjoyed it a lot! 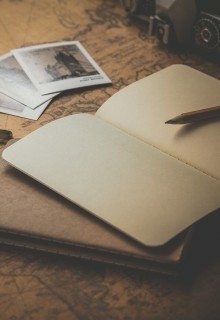 Did you find this article interesting? Press the “Like” button on your preferred social network! If you have any questions regarding prices/types of food or any other info, just leave a comment, I am here to help! I’m going to Sri Lanka in december. Do you have any nice advices about guesthouses? 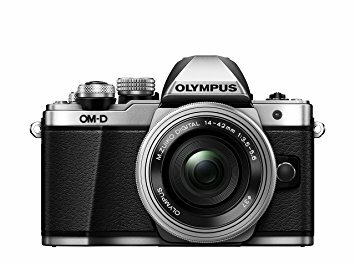 Where did you take your first picture for ex? I hope to visit Sri Lanka for my holidays. What are the places that you recommend me to visit , I just have 7 days. Enjoyed reading your blog. Very interesting. Keep it going. How do you like it if you are reading it on the computer. I couldn’t find the Like icon. Thanks for the info! 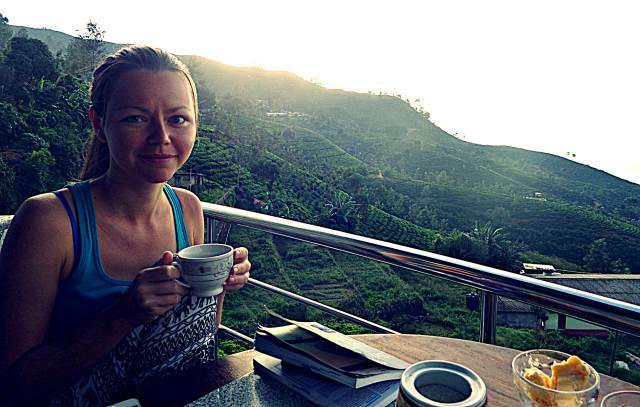 Where is the photo of you drinking coffee with a book taken?